Your Tap Water Minus The Chemicals…yum! The chemicals sure make your water LOOK better…but is it? ← CANCER #1 KILLER OF CHILDREN? Wow that makes you think! What are we really drinking? City water comes from recycled sewage. 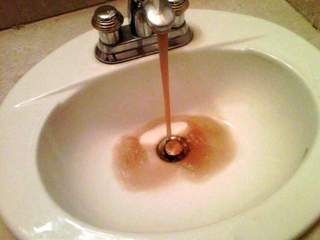 City water is flushed or goes down the drain then back to the waste water treatment plant…laced with hundreds of chemicals and then back to the tap. Lovely. Don’t be fooled…bottled water IS city water minus chlorine. It is NOT tested…just bottled and sold to the unsuspecting. My source is from a well BUT even that is subject to ground water contamination and pesticides that drain into the soil. My entire family drinks water that has been “created” through a Kangen water system…purified…high pH and minerals…micro clustered. I don’t go anywhere without my machine so that I can “treat” my water where I go. Scary isn’t it?